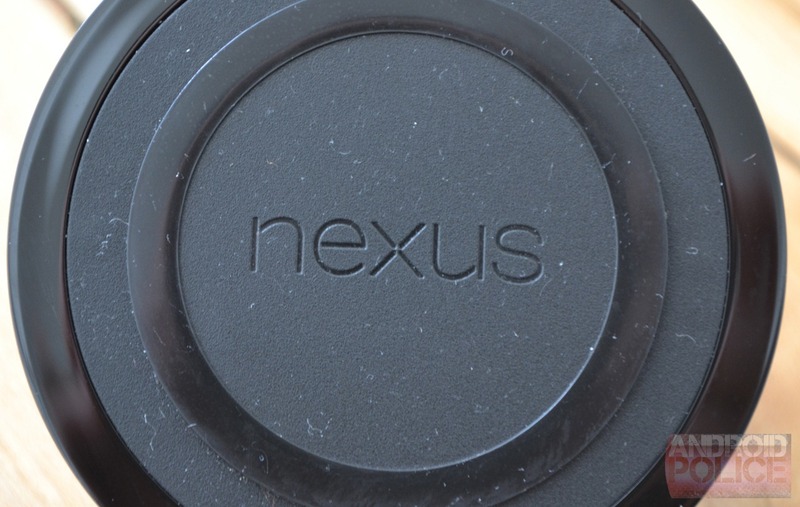 Google's Matias Duarte elicited some knowing chuckles when he revealed the existence of a wireless charging orb shortly before the Nexus 4 launched. Duarte came over to Google from Palm, which developed a similar accessory for the Pre called the Touchstone. The Nexus 4 Orb took its sweet time showing up in the Play Store, but it's finally on sale for $60. Is there any universe in which spending that kind of cash on a phone charger is reasonable? Well, maybe. The Orb is true to its name – it looks like a spherical object that's been flattened on one end, or a Nexus Q that has been cruelly sliced in half. When the Nexus 4 is placed on the unit, it is conveniently held in an upright position so you can still use the device. This makes so much more sense than the flat pad design used by most other Qi-compatible chargers. The Orb weighs 130g, which is just a little lighter than the phone itself at 139g. It feels extremely sturdy overall. 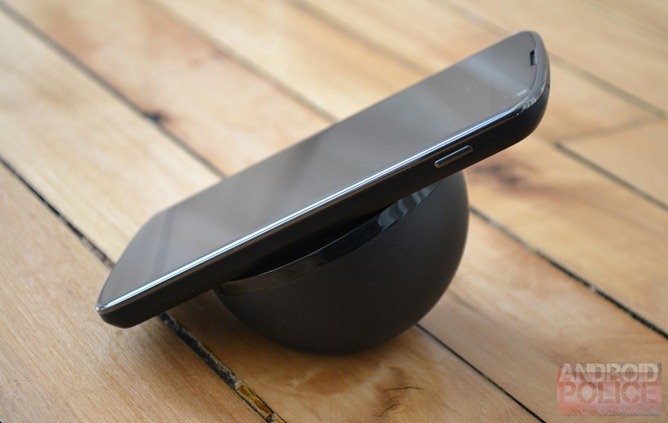 The bulk of the unit is made out of matte black plastic, except for the rim around the charging surface, which is glossy. This is a strange choice because that's just where your fingers touch when you dock the phone. It does get a little smudged, but that's a minor annoyance. There is no external LED to indicate when the device is charging, so you'll be relying on the phone's screen and new wireless charge tone to tell you it's working. 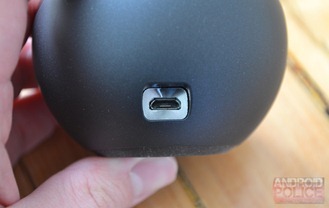 On the back is a recessed microUSB plug. I'm very pleased LG and Google didn't go with some random DC connector. It comes with a cable and AC adapter, but you could conceivably use any USB cable with the usual warning that doing so might make charging unreliable. Enough about the outside of the unit– you want to know how it works, right? The Nexus Orb is supposed to charge the phone completely in 4 hours, and I think that's about right (it might even be a little faster). The phone trickle charges for as long as you have it docked, and it's pretty easy to get lined up. 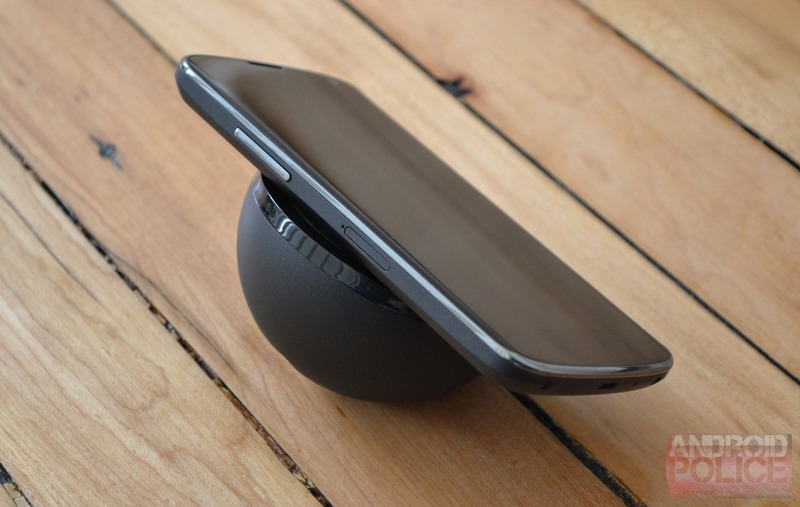 You really have to try to put the Nexus 4 on the Orb in a position that won't charge it. If you set it down extremely off-center, the coils won't be lined up. Other than that, you can drop it on in any orientation so long as the middle of the device is more or less lined up with the middle of the charger. 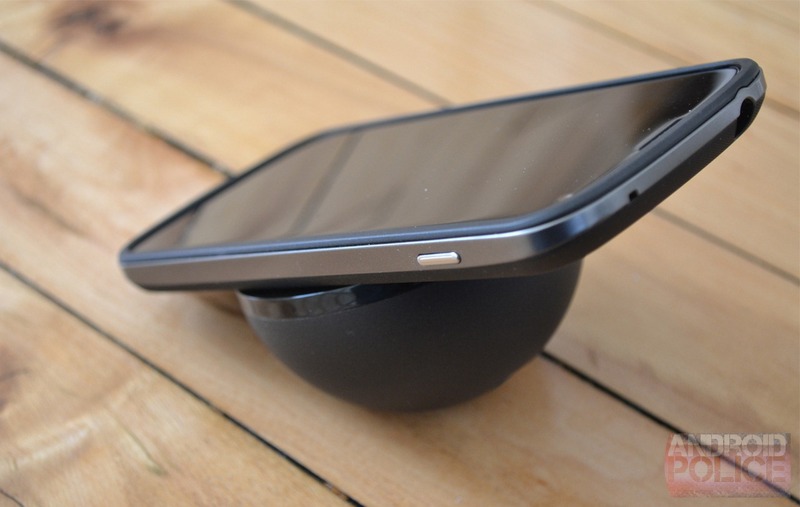 It has been erroneously reported in a few places that the unit holds the phone with magnets. In reality, the top is just extremely grippy. 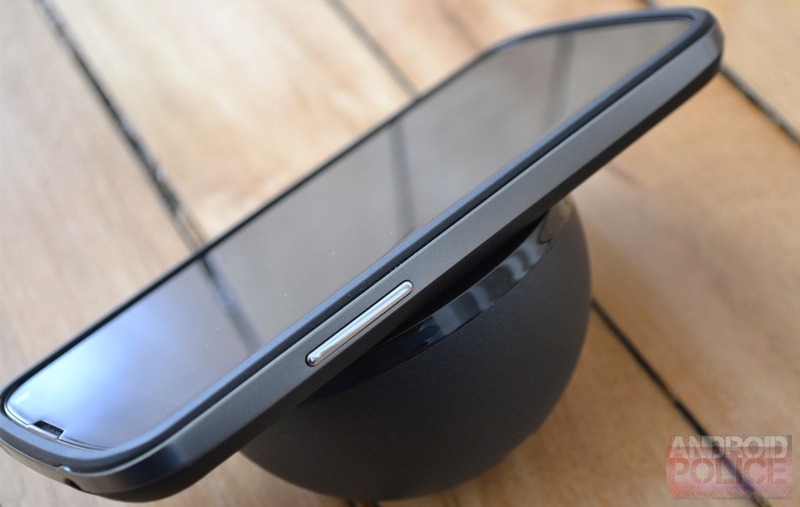 I suspect the rubber charging surface is using some sort of micro-suction texture to hold onto the phone. You can tap and swipe on the screen and it won't fall off. In fact, I've found that I can press on the top of the screen hard enough to tip the entire phone and Orb backwards (see below). Basically, it's not going anywhere until you lift up. It seems like the longer you leave the phone attached, the stronger the bond between the two is. A few times I've picked up the phone and the charger came up maybe half a centimeter before dropping back down. If you twist or angle the phone as you lift, this doesn't happen at all. 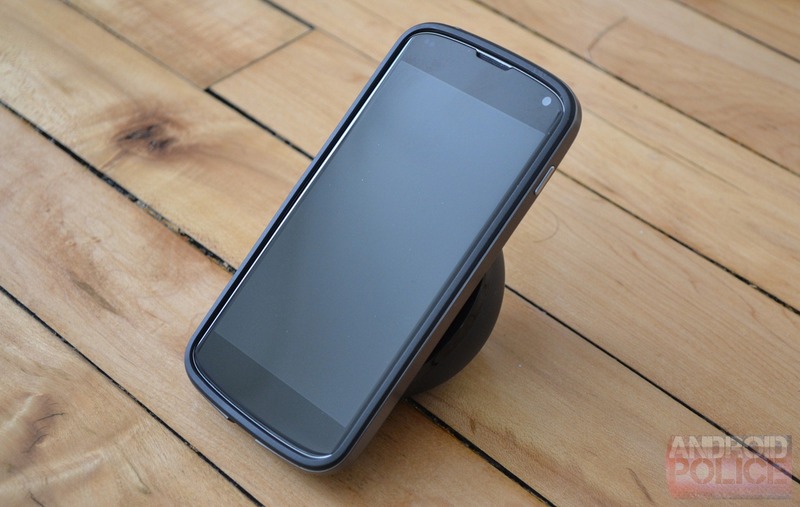 If you have the Bumper on your Nexus 4, it still fits perfectly thanks to the slightly elevated ring in the middle of the charging surface. As for third party cases, the range of the induction charging is actually a few millimeters, so you might be alright. If the back of your case is smooth, it should stick without problems, but no promises. One small annoyance has to do with that grippy surface. Because it's vaguely sticky, it collects dust and hair like you would not believe. I cleaned the entire thing with a lint-free cloth before taking pictures, and you can probably still see the junk it's collected. I worry that if it gets too dusty, the phone won't stick as well. Regular cleaning might be necessary. 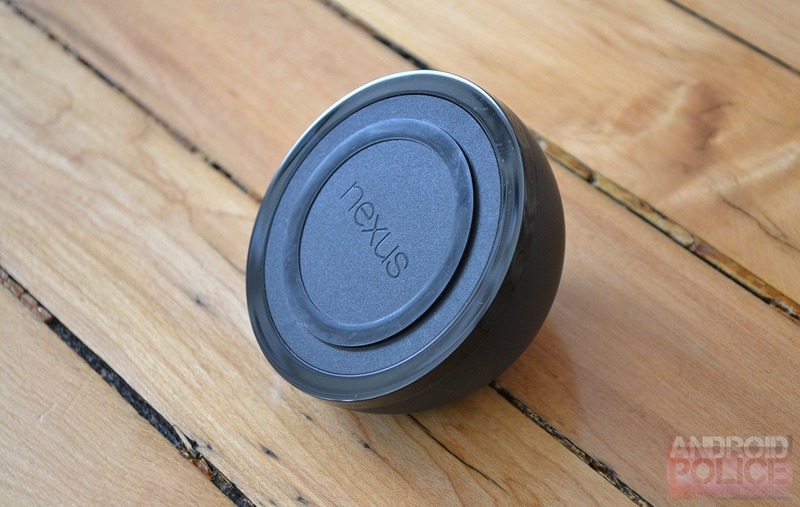 The Nexus Orb is far and away the best Qi charger I've used, but is it worth $60? 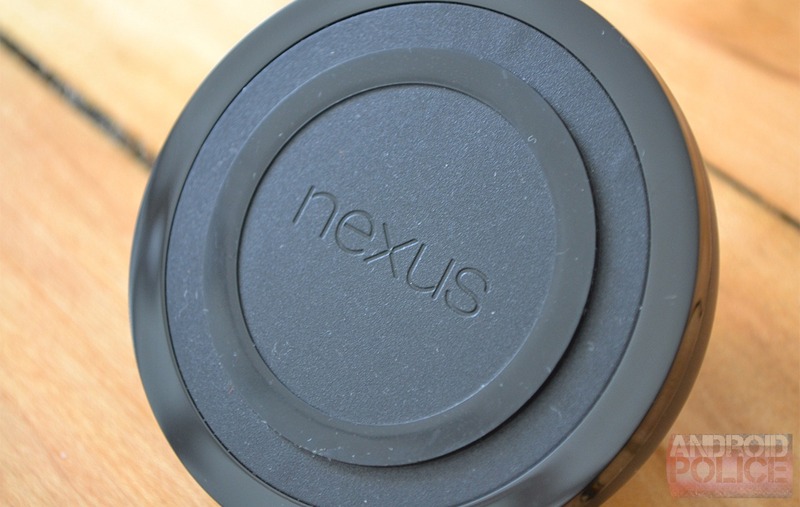 You have to remember that Google's Nexus program changes a lot from year to year. There is a possibility that the Next Google hero phone won't work ideally with this accessory. Remember pogo pins? Exactly. Still, I think Google is committed to wireless charging, so there's a good chance the Orb will work for awhile. It would, however, be nice if it did a little more. 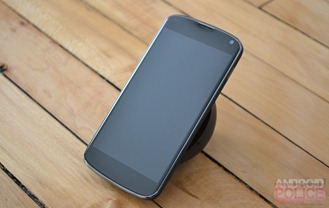 If you'll recall, the Nexus One dock had Bluetooth and audio out. All this does is charge the phone. I expected it to somehow be detected as a dock by the N4, but nothing of the sort is happening. Being interested in wireless charging, I picked up a few Qi chargers before the Orb came out. My Energizer and Panasonic units both get the job done, but they lack the attention to detail on display with Google's wireless charger. In the case of Energizer's single-position charger, the surface is glossy and slightly inclined. This makes it a little easier to see the screen without picking the device up, but the slippery Nexus 4 likes to slide off. The location of the charging coils is fairly small in this unit, making it tough to get the device lined up at times. I also picked up the Panasonic TM101 a while back, and it's perhaps the most science-fictional Qi charger out there. 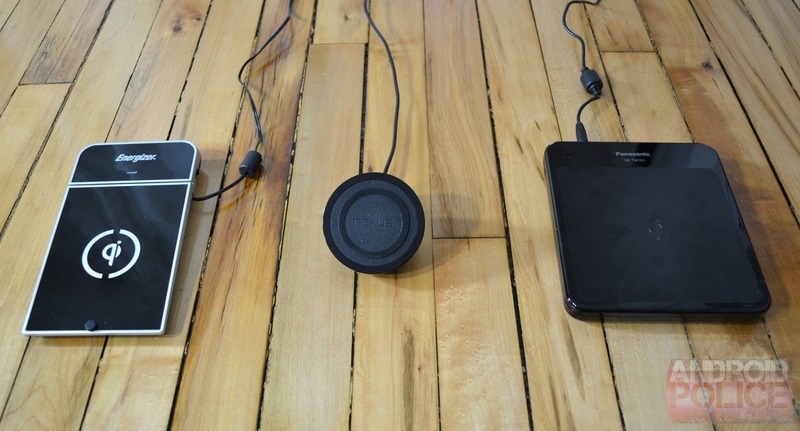 It uses induction sensing technology to find your phone anyplace on its flat charging surface. Just put the phone down, and a glowing ring of LEDs tracks over to the phone and it starts charging. This is really cool, but the completely flat surface makes it hard to see the screen. Also, the TM101 isn't terribly reliable, as it often loses connection with the device once the battery is filled. 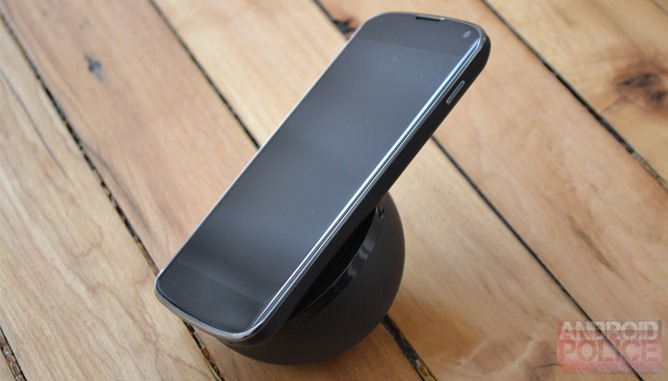 The Nexus Orb is very reliable and easy to dock the phone to at almost any angle. The more I use it, the more impressed I am with the grippy surface – it's just cool. 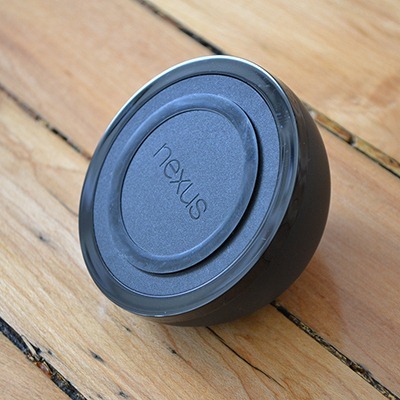 If you want a wireless charger for the Nexus 4, this is the one to buy. You're going to spend at least $40 on third-party Qi chargers, so why not get the best of the bunch? 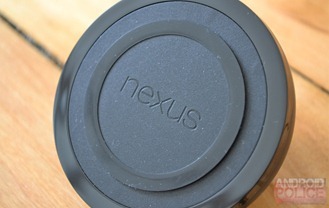 If you want to baby your Nexus and you have the cash, it's okay to buy the Orb. Don't stress about it... I grant you absolution.